BirdLife Malta is committed to tackling wildlife crime and promoting effective enforcement of wildlife protection laws. Each year, we carry out regular fieldwork with our main efforts focused during spring and autumn migration. We ensure that a thorough database of incidents is updated and maintained, providing us with valuable information on activity hotspots and the ability to establish trends on illegal hunting and trapping which can be used to lobby and campaign for improved legislation on wildlife protection. As well as extensive monitoring, we also actively follow up reports from the public, carry out investigations based on existing intel and spend time retrieving injured birds from all over the Maltese Islands. 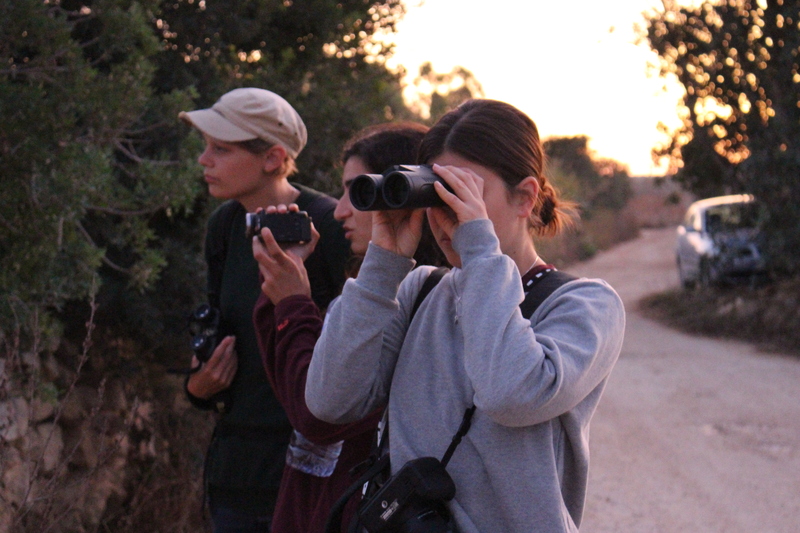 Every spring and autumn we organise bird monitoring camps during peak migration. The camps, made of BirdLife Malta staff and volunteers are situated at various watch points across the Maltese Islands with the aim to monitor and report any potential wildlife crime that may occur in the countryside. Teams also carry out roost watches if a sizable flock of protected birds stopover in Malta and keeping watch until they have safely left the Islands. Despite its controversy, Malta’s hunters are still allowed to hunt in the spring since the Maltese Government implemented a derogation which allows the killing of certain species, although prohibited by EU law. Unfortunately, many other protected species are targeted in the spring despite this being illegal. Our Spring Watch teams undertake intensive fieldwork to monitor wildlife crime and ensure any incidents are recorded and reported. With illegal trapping also an issue in the spring migration period, the camp dedicates time for investigating this too. During autumn, Malta holds a five-month hunting season with 40 species allowed to be legally hunted. Whilst it is difficult for BirdLife Malta to monitor such a lengthy season, efforts are focused on a period of time that covers the peak raptor migration. All birds of prey are protected, yet many become victims of illegal hunting. Our Raptor Camp teams spend many hours in the countryside, keeping a look out for protected species migrating over and working to ensure that they leave the islands safely. After Raptor Camp, trapping becomes the focus of our fieldwork, with efforts spent on identifying sites that are committing wildlife crimes with any instances reported to the relevant authorities. You can find out more about hunting and trapping in Malta by clicking here. If you wish to report a wildlife crime or you have found an injured bird, please call us during working hours on (+356) 2134764 5/6. If the incident is outside of normal working hours (during evenings/weekends) please call us on (+356) 79255697 instead; please do not use this phone number for anything else except wildlife crime or injured birds.